Over here at DataFest central we’re getting excited for a weekend full of data fun. We hope you are, too! Doors open at the Integrated Sciences Building at UMass – Amherst tomorrow at 6:30 pm. The full schedule is available here. To stay updated, feel free to follow the action on twitter, @FiveCollegeStat and #datafest. If you want to level-up your data science skills at the event, consider attending one of the four great workshops that will be offered throughout the weekend. 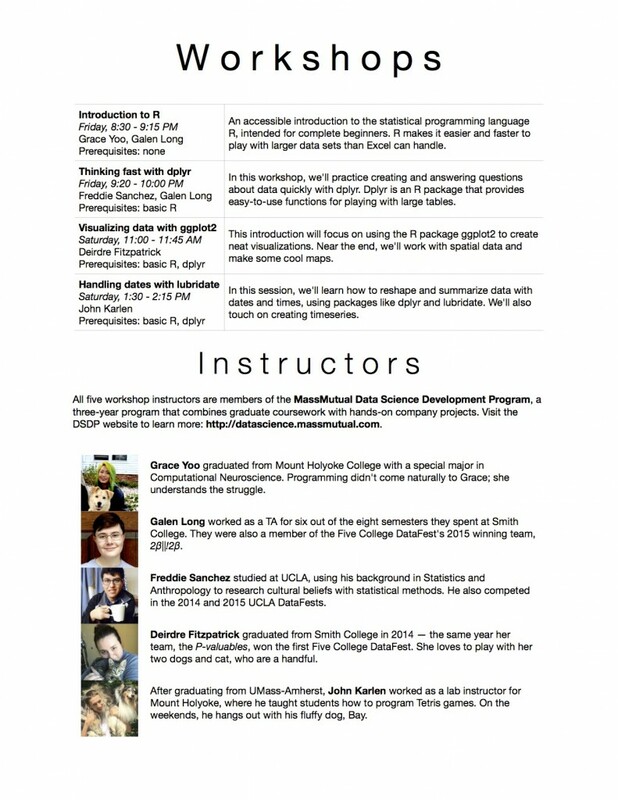 Many of our workshop instructors are DataFest alumni from the Five Colleges and UCLA, so they know what it takes to succeed. May the odds be ever in your favor!